3 reasons why holiday greeting cards are a great way to thank your clients for their business. #1 Your Clients Will Keep Them. Most people hold on to their holiday greeting cards through out the entire holiday season. This provides you the opportunity to "connect" and build rapport with your clients every time they look at your card. #2 It's the right thing to do. Let's face it... Your mother and/or father most likely taught you that saying thank you is the right thing to do. You would not be in business if it wasn't for your clients. They pay your bills and are a key part of your livelihood. The holidays are a great time to remind them of how much you value their business. It's not what we do for others that defines our relationships. It's how we make people feel that does. 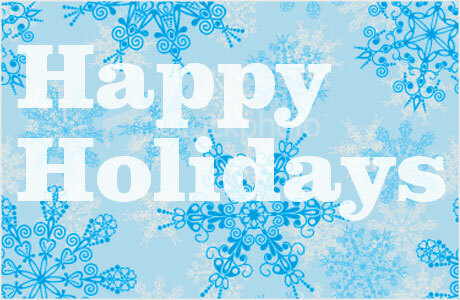 Holiday greeting cards help build stronger rapport and loyalty with your customers. It's an easy way of showing your care and demonstrating your appreciation. So spread the holiday cheer and show your clients exactly what they mean to you. It's a great investment that you will reap the rewards from all year long!